I sometimes wonder what I did before I got the allotment. During the spring and summer I spend every spare minute I can there – it’s not just about growing food (far from it! ), it’s also where I go for peace and quiet, a creative outlet and to socialise – mostly with my dear mum (we both like getting our hands dirty and working away amongst the wildlife). I’m not quite sure what I’d do without it, which is why I feel very strongly that Scotland should have more plots. We’d be a much happier country if that were the case! At the end of WWII there was approximately 60,000 plots in Scotland, and sadly this has dwindled to around 8,000, with huge waiting lists for most sites (some taking 8-10 years to reach the top of). However, this could all change – and soon. The Scottish Government’s Community Empowerment Bill, which is currently making its way through parliament, will replace all existing allotment acts and will place a duty on local authorities to provide allotments linked to and triggered by actual demand, as well as protect permanent allotment sites from closure. 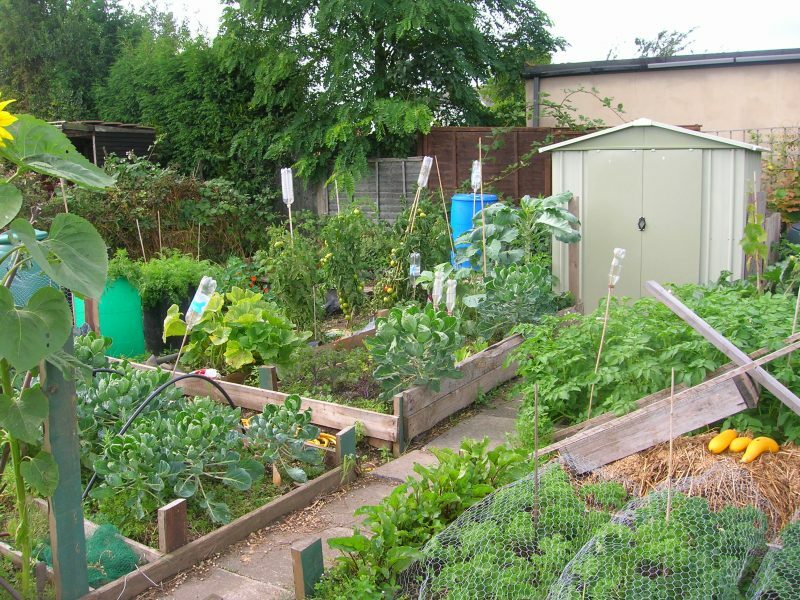 The Scottish Allotments and Gardens Society (SAGS) says that the new bill could pave the way for Scotland to have 50,000 plots and about 100,000 people actively engaged in sustainable gardening practices over the next 10 years. How fantastic is that! While this is all excellent news for aspiring allotmenters, it’s also vital that the new legislation, when it passes, protects the rights of existing allotment holders to maintain their existing sites. SAGS has put together a five point proposition which it is urging the Scottish Government to consider as the legislation is formed. This includes defining the size of a standard plot at 250 square metres (vital for growing enough food to feed a family), a duty to provide suitable land and infrastructure, retention of a fair rent clause (I pay £30 a year – people would be up in arms if it were much higher), amend waiting lists so that nobody waits more than 3 years for a plot, and identify good land for cultivation as green space in local development plans. I think these are all worthwhile and vital recommendations, and hopefully they will all be incorporated into the final act. So the community empowerment bill is hopefully good news for our green fingered friends all over Scotland. Let’s just hope the legislation passes sooner rather than later and creates more sites for everyone to enjoy as they join the wonderful revolution that is grow-your-own.